At Boxted St Peter’s we celebrate excellent attendance, and hope that every child comes to school every day. It is the parent’s legal responsibility to ensure that their child/ren receive(s) a suitable education and attend school regularly. Therefore, we never sanction term time holidays. On the first day of absence, and at the earliest convenience, parents should notify the school of their child’s intention to be absent. We will only authorise absences that are reported as being due to illness, where we are satisfied that the absences are genuine. If the authenticity of the illness is in doubt, we may request that parents provide medical evidence to cover the absence or enlist the support of the school nurse to access relevant medical information in individual cases. Missing registration for a medical or dental appointment is counted as an authorised absence. However, we do encourage parents to make appointments out of school hours. Where this is not possible, the pupil will only be out of school for the minimum amount of time necessary for the appointment. a parent reports their child as being absent due to illness and it later transpires that this is not the case and that the family were actually taking a holiday during term-time. 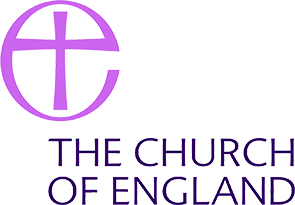 Where a pupil has 10 consecutive sessions (5 consecutive days) of unauthorised absence, the Head teacher may apply to the Missing Education and Child Employment Service for a penalty notice to be issued. The decision to request that a penalty notice be issued remains within a Head teacher’s discretion. 8 unauthorised sessions within a four week period, may result in a referral to the Local Authority. Why is good attendance so important? 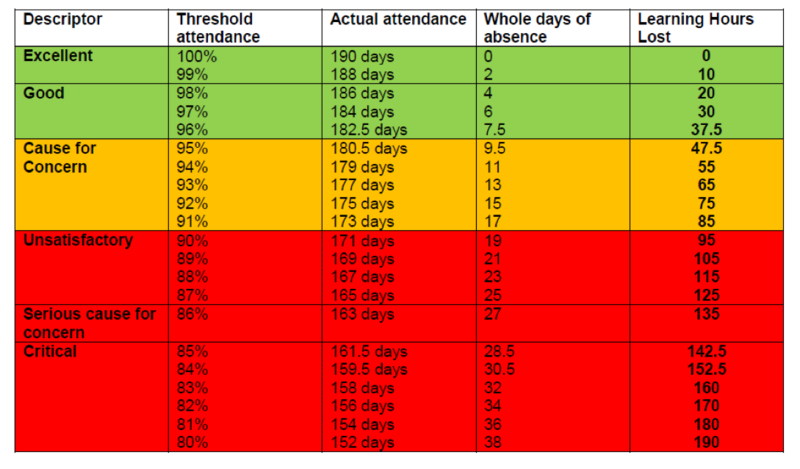 The following table illustrates the amount of ‘learning hours lost’ as a result of a pupil’s absence. The Attendance Leader at this school is Vicky Lait. The Attendance Officer at this school is Jacky O’Sullivan. For a full version of the Attendance Policy please click here.